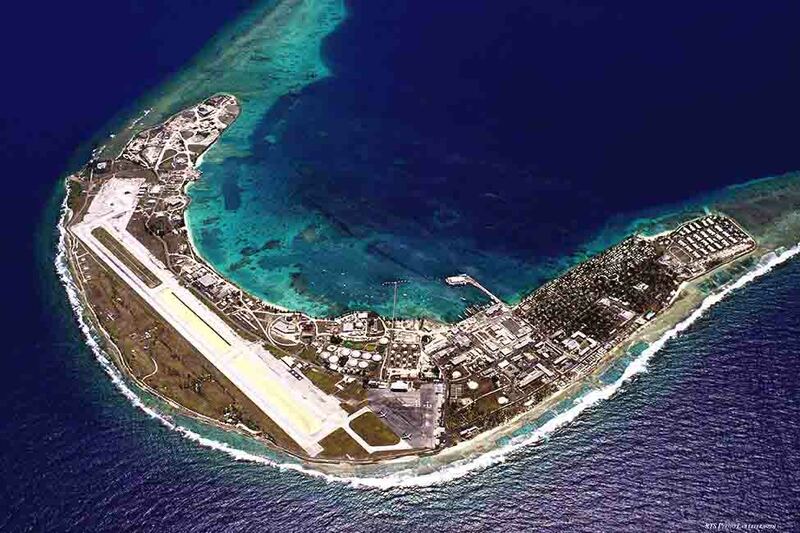 The main missions at the U.S. Army-Garrison Kwajalein Atoll (USAG-KA), managed by Bechtel-led Kwajalein Range Services LLC, are missile system testing, space surveillance and satellite tracking. An epic battle took place on Kwajalein Atoll in the Marshall Islands during the second World War. The United States victory over Japan secured an important strategic military post that continues to be crucial today. There were more than 300 American casualties during the Battle of Kwajalein that took place from Jan. 31 to Feb. 3, 1944. There are at least eight known aircraft with 11 missing-in-action (MIA) service members that went down within the Kwajalein Atoll lagoon. In 2011, a non-profit group made up of island contractor residents was organized with a mission to find the remaining planes, and even more meaningfully – the missing service members – to give closure to MIA families. 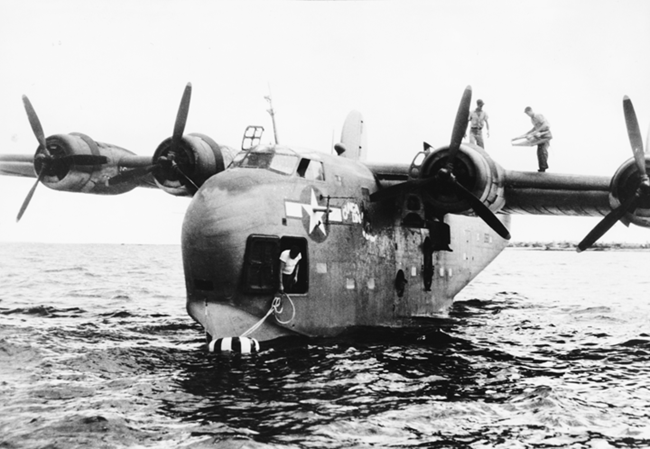 The Kwajalein MIA Project had been searching the lagoon for a missing PB2Y-3 Coronado – the Gunga Din – that crashed in the lagoon while practicing landings on Sept. 14, 1944. The plane broke in half and sank, taking with it Fred M. Matson, a Navy Pharmacist’s Mate 1st Class (pictured left, image, courtesy of the Kwajalein MIA Project) who was in a bunking compartment in the nose of the plane. Twelve others survived the crash. Using borrowed sonar equipment that was available only a few weeks out of the year, the MIA Project team searched but was unable to locate the front half of the plane where they believed Matson’s remains could be found. A combination of factors impeded the ability of the group to regularly search, including weather, availability of rental boats, time off work and outdated equipment. When Christa Wingfield, a Bechtel employee, an avid diver and a supporter of the Kwajalein MIA Project learned of the group’s limitations, she spearheaded a fundraising campaign to purchase their own equipment. She helped secure a sizeable donation from Bechtel National Inc.; subcontractor Chugach Management Services Inc.; a corporate Quality of Life fund from Bechtel and managed by community stakeholders; and raised money through MIA Project merchandise sales. With that funding, the MIA group was able to purchase a new Seascan ARC Explorer side-scan sonar system. With this new equipment, it took less than one month to discover the front end of the Gunga Din in an area that was previously swept with the old equipment. Wingfield was monitoring the sonar screen when the potential front half of the Gunga Din was identified. Sonar imaging showed a wing and two engines and indicated the wreck was 160-170 feet deep, well below the recreational diving limits at USAG-KA. 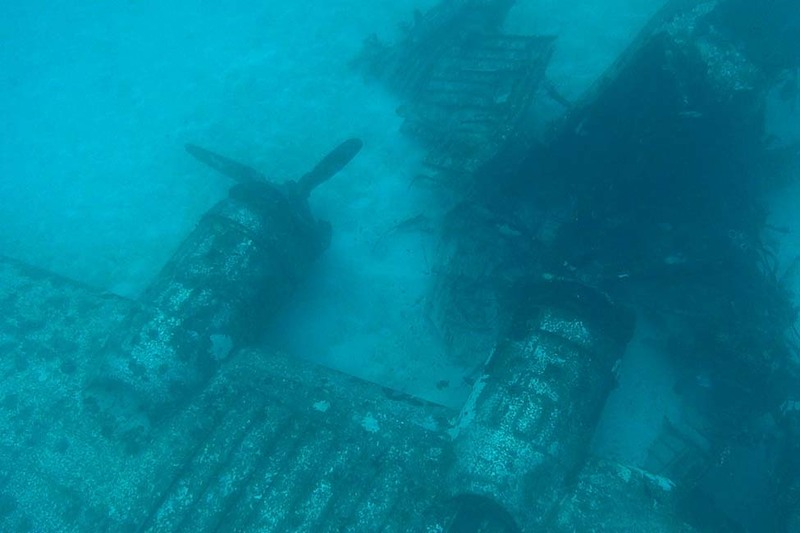 While the MIA Project team waited for the garrison commander to issue approval, they coordinated with the Defense POW/MIA Accounting Agency (DPAA) who would provide guidance on imaging needed of the wreck. Four days after the discovery, Kwajalein MIA Project Leader Dan Farnham led a dive team to document the Gunga Din. It was the first time anyone had laid eyes on the plane in 74 years. Wingfield was a member of the initial dive team. “That day is one of the most memorable in my life,” said “I was emotional when the wreck finally came into view after all that time searching. I thought about what it must have been like to have been on board that plane when it went down, and the actions taken to save 12 of the crew members. And then I thought of Fred Matson and his family, and how wonderful it will be to notify his family after all this time. See videos of the dive on the Kwajalein MIA Project Facebook page. The Matson family knew that the Kwajalein MIA Project was searching for the Gunga Din. They‘d heard of the discovery of the tail section in 2015, and a fragment from the fuselage in 2016. But this was by far the biggest discovery yet. The front end of the plane is where Matson was believed to be trapped when the plane sank. Farnham delivered the news to Matson’s nephew over the phone. “They were very happy to hear the news,” Farnham said. Official government notification to Matson’s family will come from DPAA once the remains have been recovered and identified. Read more on the Kwajalein MIA Project Facebook page. To learn more about Bechtel, visit the #build100 blog and sign up for our newsletter here.